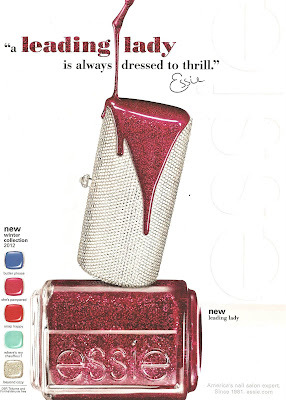 Here's a quick look at the Essie Winter 2012 Collection! I saw this ad in my new issue of Lucky Magazine and took a couple of quick scans to share with you. Click photos to enlarge detail. I Got my eye on Butler Please, Leading Lady & Beyond Cozy. This is the first I even heard of this collection. Ooh! 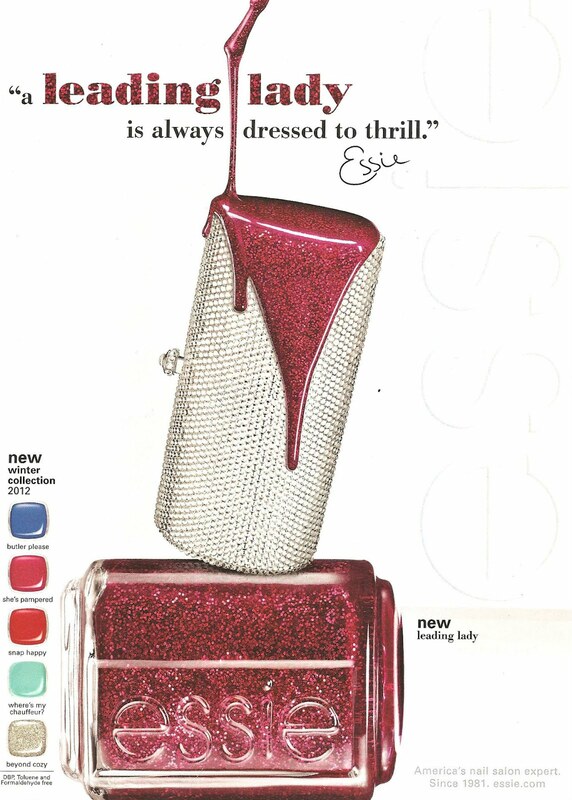 I love the Essie ads, I'm thinking I need Butler Please, Leading Lady & Beyond Cozy as well. thanks for sharing! they look pretty! Looks promising! I've been a bit underwhelmed with Essie this year, so I'll be looking forward to swatches of these.